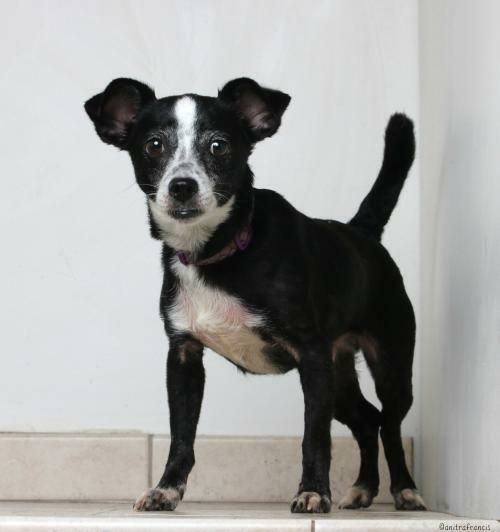 Gizzmo is a sweet, personable, agile little guy whose major goal in life is to be your shadow. He is so happy when his humans come home that he will leap repeatedly about 3’ straight into the air. Gizzmo loves, loves, loves snuggles - he absolutely lives for human affection. He has discovered the joy of chasing squirrels and also loves walks. We're working on his leash manners (to help him not pull and to not be reactive to other dogs) and he is improving. No cat siblings for him – his prey drive is too strong. Gizzmo can live with other dogs but would prefer not having to share human attention with other fur siblings. For the same reason, he should not be in a house with young children, who he will likely view as competition. He is completely house-trained; even in cold weather, he will go out and promptly do what he needs to. 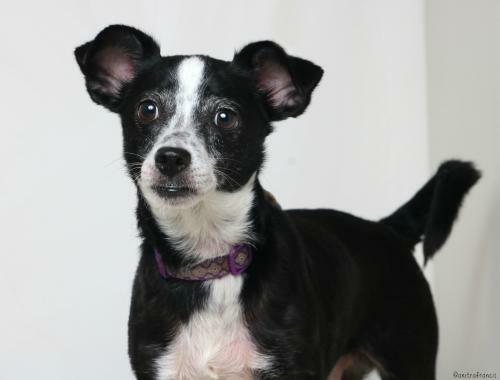 Gizzmo is eager to please and is quite smart; with training, he could probably run agility courses. He needs a firm, calm pack leader who will help him continue to work on his leash manners. Gizzmo does bark at passers-by, other dogs, and strange noises but it’s not obsessive. He would love a fenced yard but it’s not necessary if he gets daily walks. Gizzmo needs a home where the humans want to spend time with him, either walking him or letting him snuggle with them. 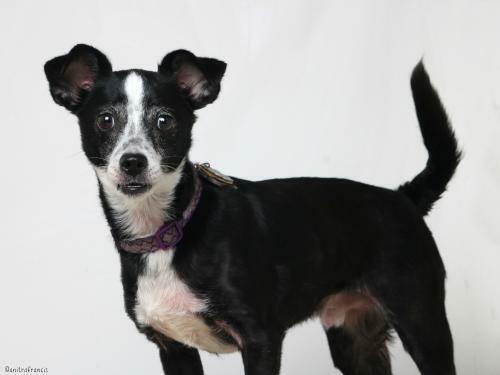 Gizzmo is not a good candidate for a home with shared walls (apartment, condo, townhome, etc) because of loud barking when his humans come home and because he barks at strange noises, such as neighbors moving around in their apartments. He needs slow intros to new people but will warm quickly once he realizes they are another source of love and attention.